On Monday 29th January Grade 3 had a special all day outing to Phnom Tamao Zoo as their entry point for the Unit Land Sea and Sky. The students were guided through the Zoo and their guide explained the importance of both land and water habitats to animals and the importance of the ecology, nature and human interaction in preserving our natural environments and their habitats. The students found out about how plants and animals can adapt to living almost anywhere on our Earth. 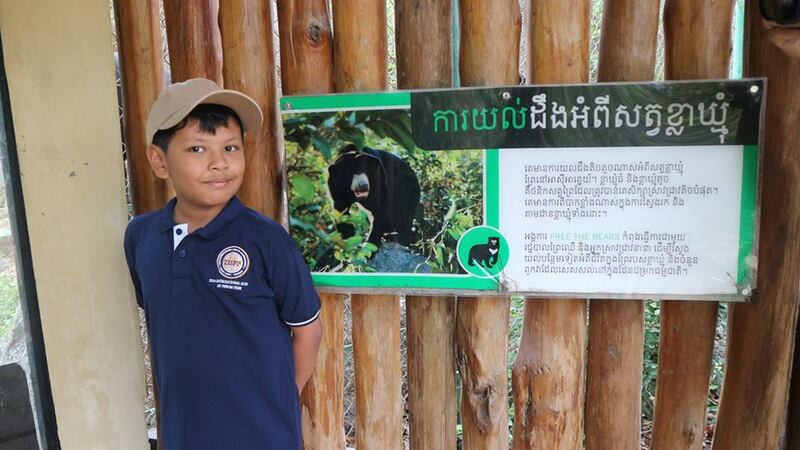 It was of great benefit to the students to learn about some of the native wildlife to Cambodia, such as sun bears, moon bears, leopards, elephants and various species of monkey. The students learnt how humans have encroached on their habitats and how these animals have been hunted and killed for use in medicines. They got a chance to see how their own government is trying to help rescue and rehabilitate and repopulate these native species.